The arguments favoring the private ownership of handguns in this country are based on two myths.The first myth is that the Second Amendment to the Constitution guarantees private citizens the right to own handguns. The fact is this. 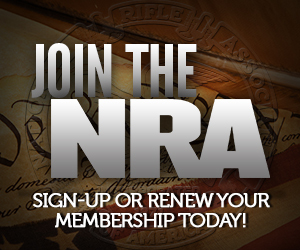 The Second Amendment, in its entirety, states “A well-regulated Militia being necessary to the security of a free State, the right of the people to keep and bear Arms, shall not be infringed.” The National Rifle Association has succeeded brilliantly and cynically in convincing the public that the amendment consists only of the part that follows the comma. You should check your facts, because most of the recent scholarship out on the second amendment has rejected this model and embraced an individual rights view. Even liberal scholars, such as Larry Tribe have embraced an individual rights model of the Second Amendment. The second myth is that every private citizen needs a handgun to protect his loved ones and property against intrusion by burglars. This is a pernicious untruth. As a longtime trauma surgeon at Harborview Medical Center, the main center for treatment of all kinds of wounds and injuries, I cannot recall a single patient who had been shot by the resident of a private home while attempting to burglarize it. I believe my surgical colleagues would agree with that assessment. It is far more likely that a young boy finds a loaded handgun in his parents’ bedside table and either he or a playmate gets shot while playing with it. This would be news to Dr. Gary Kleck, criminologist at Florida State University, who’s studies estimate about two and a half million defensive gun uses annually, the vast majority of which do not result in anyone being shot. Most criminals break off the attack when confronted with someone prepared and willing to defend themselves. The truth is there are many of these types of defensive uses around the country every day, if you had ever bothered to look. Those are the two myths responsible for the ubiquitous presence and use of handguns in Seattle and elsewhere in this country. They attest to the ignorance of our citizens and our laziness in not even reading and learning the history of the Second Amendment to our Constitution. I’m sorry sir, but it is you who are the lazy and ignorant one, not us. It’s not exactly a good way to persuade folks by claiming that of people who simply don’t agree with you. Honestly, it makes you look like an arrogant prick. Handguns are ubiquitous and present in our country because Americans, whether you accept it or not, have a constitutional right to keep and bear arms to defend themselves and their families. Read what the founders have to say about the subject, and you’ll understand why you are wrong. People aren’t ignorant just because they choose to make the wise decision not to rely on the police, who can’t always be everywhere when some criminal chooses us as his mark. So do you want to pay to have the police follow me around everywhere? No? Then don’t be so arrogant as to presume to make choices for me when it comes to my own personal security. Stick to medicine doc. Leave the gun subject to the people who actually know what the hell they are talking about. Give it up Doc. You and your ilk kill and injure more than 1.5 MILLION patients a year thru “preventable medication mistakes” according to the National Academies of Science’s Institute of Medicine. That far outweighs any supposed damage done by guns. Ban doctors and we’d all be better off apparently. Another powerful stat to use against the anti-gunners and their argument about child safety. And I admit I heard this on 20/20 so I am not positive the truth to this statistic, but media being positive about firearms is rare so I’ll pass it along… Children are almost 100 times more likely to die of a pool related accident than a firearms related accident… my question is… why do we rarely hear about pool deaths on the news, but here about gun deaths every day?